With the start of the NFL season this past weekend and college ball completing its second week, you might be wondering where the best places to watch football this season are (besides your own couch). Here’s a rundown of some hot spots in The Woodlands to cheer on your favorite team, and maybe meet some new friends while you’re at it. The first places you might think of to watch a game would be a sports bar, and The Woodlands has plenty. Rookie’s Sports Bar & Grill near I-45 on Sawdust Road has a great atmosphere, lots of pool tables (if your team is losing), and weekly game-time specials. They feature half-price Buffalo wings most Mondays so check them out for Monday Night Football, too. Stadia Sports Grille is another hot location for Saturday and Sunday afternoon game watching. 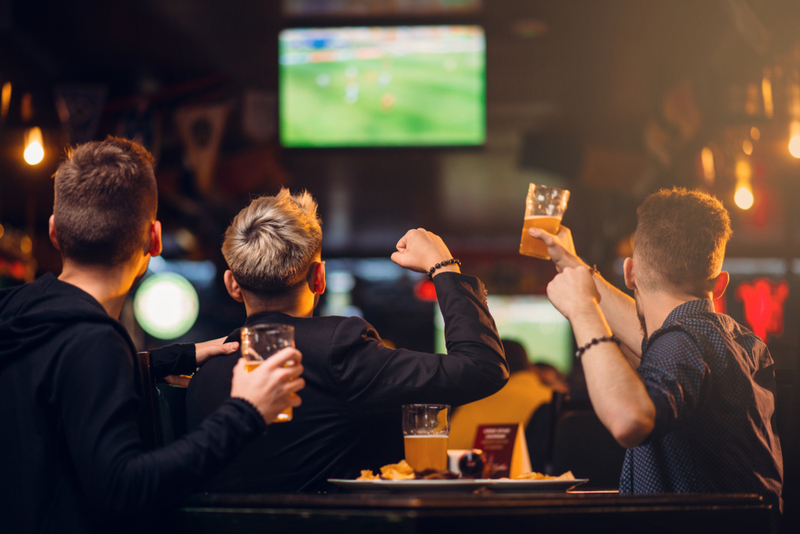 Located in The Woodlands Waterway, Stadia has tons of TVs with all the games and great game-watching foods like burgers, wraps, nachos and wings. Woodson’s Local Tap & Kitchen also sports a big menu, filled with local favorites like their giant pretzel appetizer and juicy burgers. The large bar area has TVs everywhere so you’re sure to get a good view of your team. The Golden Retriever Pub in Magnolia is a comfortable spot to watch sports – they even have a lounge area with seating by a large TV. Grab a beer and some dinner at a table, then head over to the lounge for the fourth quarter. The Flying Pug (another bar named after a dog breed!) hosts Texans watch parties and gets a little rowdy when the home team is winning. With 23 TVs throughout the bar, and more than 23 beers on tap, this spot is a local sports fan favorite. No matter which team you root for, cheering with other fans while dining on some casual cuisine is a great way to spend a Fall afternoon. Go Texans!